This program conforms to the new GHS regulations. The Programme will print the pictograms on the label. (Colour printer required) or use the stickers to adhere to your decanted bottles of chemicals available from this website. Look under Globally Harmonised System of conforming labels. The price quoted of $500.00 includes the site licence and can be used on all computers within your school and this licence does not expire. All updates and technical inquiries are also offered with our compliments as and when required for the life of the programme. 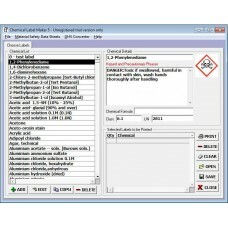 A scrollable listing of all the chemicals held in the database. A simultaneous textual display to allow you to examine the Health and Precautionary phrase details of the currently highlighted chemical. The ability to add new labels and edit existing ones. 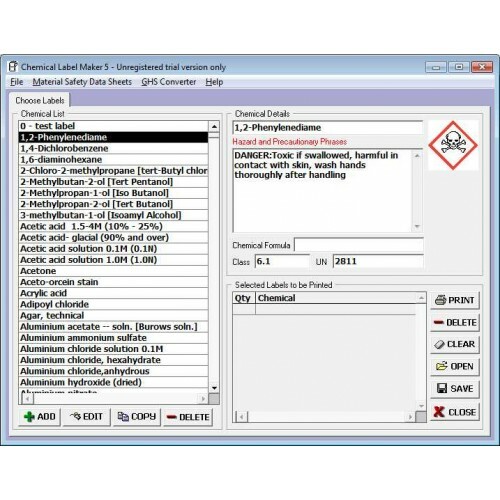 A delete facility to delete chemicals from the database and print list. A printing capability for printing on different label sizes. 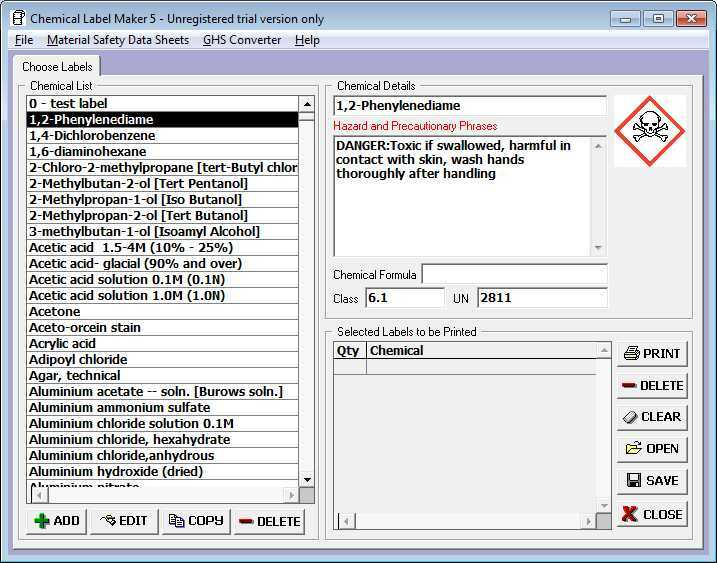 The ability to add chemical formulae and classification codes to the highlighted chemical. All information contained in the database of the Chemical Label Maker program is compiled from the best information currently available to the company. The company accepts no responsibility whatsoever for its accuracy or for any results which may be obtained by customers. Any customer who relies upon any advice or information produced by this program does so entirely at their own risk, and the company will not be liable for any loss or damage thereby suffered notwithstanding any want of care on the part of the company or its staff in producing the program or compiling the data contained within.